In the third week of the armed takeover of a federal wildlife refuge, one question looms large — how will this end? 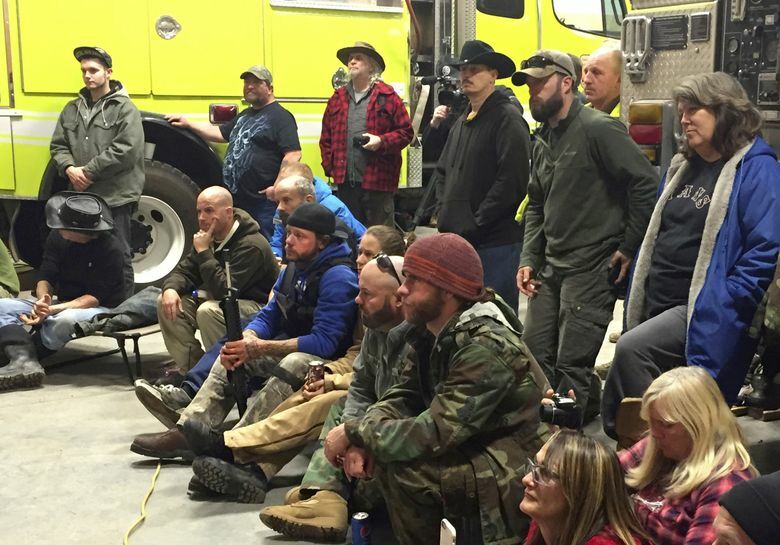 BURNS, Ore. — The true believers in Ammon Bundy’s vision of America gathered this week in a firehouse on the Malheur National Wildlife Refuge. They were some 40 strong, drawn from more than a half-dozen states, to take a stand against federal control of this remote corner of the West. On this morning, less than a day after attending an emotional community meeting in Burns where Bundy had heard chants of “Go home,” there was no talk of leaving the refuge buildings the protesters occupy. Instead, Bundy offered a 90-minute lecture that combined a professorial delivery and fervent conviction as he detailed his views on law and the U.S. Constitution that he says justify efforts to tear up grazing leases and turn federal land over to local control. Bundy, the son of a Nevada rancher and operator of an Arizona truck-repair firm, made clear that he looks to this group to help make that happen. Nearly three weeks into the armed takeover of the federal refuge, two questions loom with growing urgency — ­how and when will this occupation end? 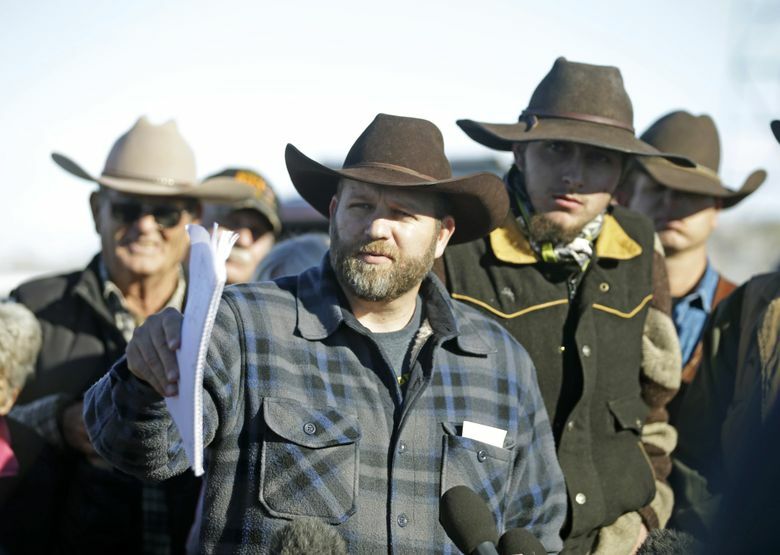 On Thursday, an initial step toward a possible resolution unfolded as Bundy, in a meeting recorded on video by a talk-show host, met with the FBI outside the refuge. He discussed his demands for the federal government to relinquish control of the refuge as well as the release from prison of two Eastern Oregon ranchers who have been convicted of arson. Bundy agreed to another meeting with the FBI on Friday and then returned to the refuge headquarters, where the anti-government protesters are building a growing stockpile of food and attracting fresh recruits. Meanwhile, the 16 federal employees who worked at the refuge have vacated not only their offices but also their homes. Out of concern for safety, they pulled children out of school as they temporarily moved elsewhere in the Northwest. Law-enforcement agencies have marshaled their forces in Burns, about 30 miles north of the refuge. A school-district building is being used for law enforcement and an adjacent area has been turned into a secure compound that includes chain-link fencing, concrete blast barriers and nighttime spotlights. At the airport, a helicopter-landing station used for summer firefighting is a command post for the FBI. That’s where Bundy met with agents Thursday. Within Burns, sharp divisions have emerged. Some residents embrace Bundy’s cause even if they are leery of the refuge takeover; others denounce the occupation and its agenda. “Harney County has been paralyzed, and we have been gripped with dysfunction with our federal-government offices closed,” said Tom Sharp, a local rancher and treasurer of the Oregon Cattlemen’s Association. As the occupation has grown, so too has a backlash among supporters of the federal refuge. Hundreds of public-land advocates showed their support for the refuge at rallies this week in Portland, Eugene and other cities. A few have gone to Harney County, including Candy Henderson, a retired horse trainer and long-distance runner from Walla Walla who comes to the headquarters entrance each day to oppose the occupation. Henderson has pitched a small, green tent at a campground near the headquarters. She plans to stay until early February, when she’ll head south for medical treatment in Houston for breast cancer, then return. At a nearby campsite, Gary Underhill, a supporter of the occupation, has assembled a medical team with supplies to respond to any emergency, including those that might arise should anti-government protesters clash with law enforcement. Underhill is a northern Nevada leader of the Oathkeepers, a group affiliated with the “patriot” movement that draws from former law-enforcement and military personnel. He says his five-person team includes two combat-trained medics able to assist in everything from broken ankles from slips on ice to gunshot wounds. 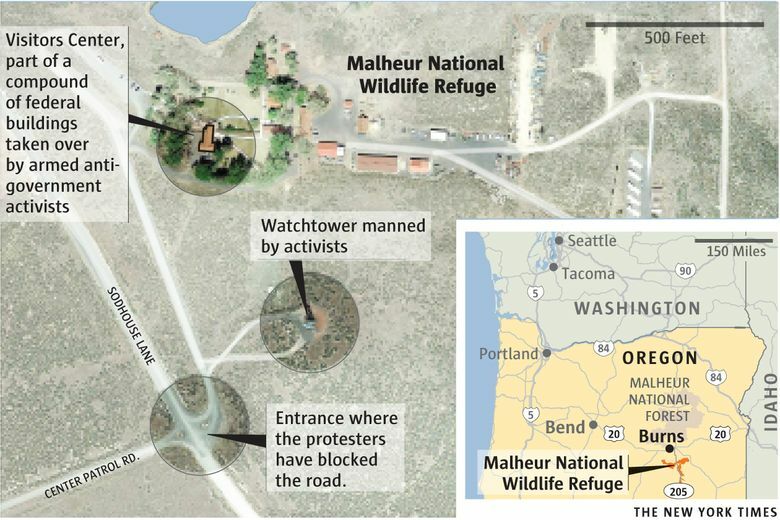 The road into the refuge headquarters was blocked earlier this week by a white pickup and a camo-clad man from Phoenix. A rifle hung across his chest. Those who have taken control of the refuge bristle at the notion that they are occupiers. They maintain the land remains open, and they take visitors down to the headquarters complex, seeking to put them at ease. “I would like to point out that when everyone is armed, they’re much more polite to each other,” said Ryan Bundy, Ammon’s brother and another leader of the refuge occupation. Both brothers participated in their father’s 2014 standoff with law enforcement in Nevada over Cliven Bundy’s failure to pay federal grazing fees. They arrived in Oregon to protest the five-year prison sentences given to ranchers Dwight and Steve Hammond, who were convicted of setting fire to federal land, and also to try to spark a broader rebellion against government control of public lands. Now, the Bundys’ refuge takeover has drawn dozens of supporters — many from anti-government groups — who cook meals, distribute donations and operate the refuge’s heavy equipment to spread gravel on mucky roads. 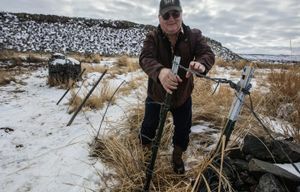 “I take care of beans, bullets, boots and blankets,” said Duane Ehmer, a 45-year-old welder and Army veteran from Irrigon, Ore., who also pieced together some scrap metal to form a large coat rack that now stands in the bunkhouse hallway. There have been more controversial tasks, such as picking up what protesters claim are displaced Indian artifacts left outside in the weather, or constructing a new patch of road that refuge officials told Oregon Public Broadcasting went through an archaeological site significant to the Burns Paiute Tribe. Security is a major effort. The occupiers patrol the refuge perimeter for signs of law enforcement and undesirables, such as a drug user that Ehmer said was trying to gain entrance Thursday. They also are on alert within the headquarters compound to try and prevent any conflicts among those staying there. For the anti-government protesters, Ammon and Ryan Bundy command center stage. Most everyone not on security duty showed up at the recent morning firehouse meeting to hear the brothers explain the beliefs that underpin their movement. During their presentation, the Bundys sketched out a doctrine that rejects federal authority over western public lands and puts them in fundamental opposition to U.S. Fish and Wildlife officials who seek to regain control of the refuge. They say support for their beliefs is found in “natural law” that Ammon Bundy says the “Lord had built into us.” They also find support in the U.S. Constitution. And they reject all federal laws and court rulings that offer a contrary view of public lands. “Why we’re here right now is to get things back to the proper form of government,” said Ryan Bundy, before the meeting ended with a prayer. Refuge officials say they are eager to get back to work, but can only monitor the refuge from a distance. The federal official who spoke to The Seattle Times anonymously said much refuge work needs to be done in the weeks ahead, including diverting water for migrating waterfowl and irrigating forage used by ranchers to feed their cattle.